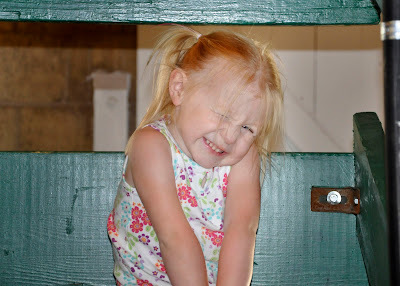 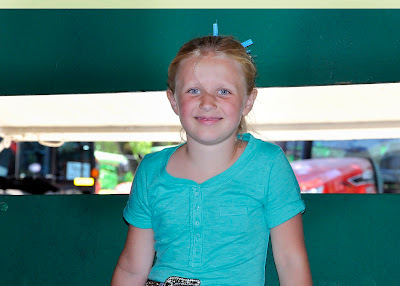 Our county fair was the last week of June. 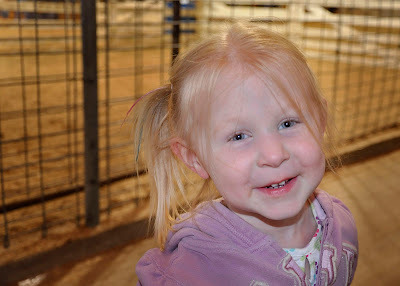 Can you believe it was cool enough for Mel to be in a sweatshirt for most of the show? 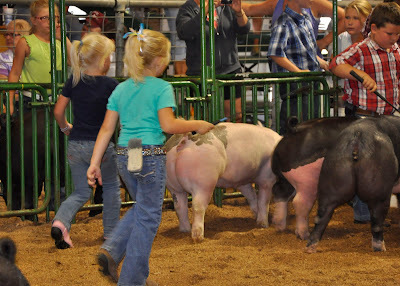 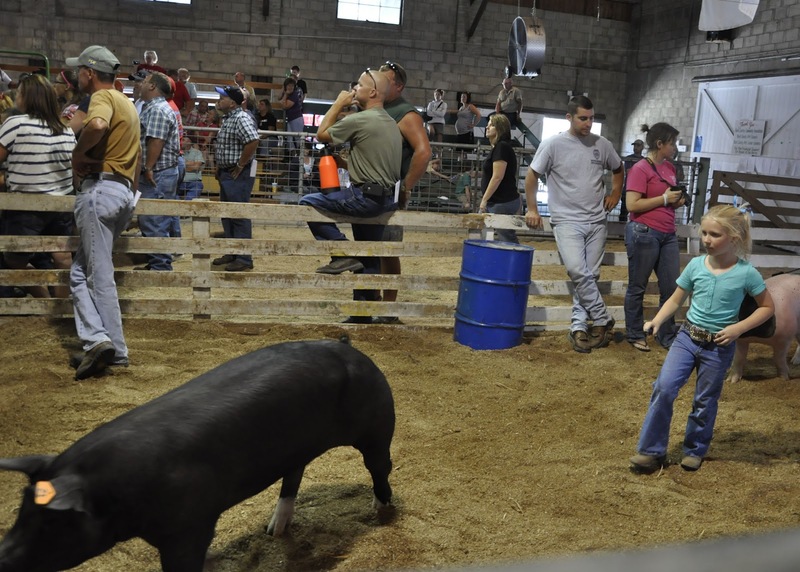 The pig show was on Tuesday and by Friday highs were topping out near 105 degrees!! 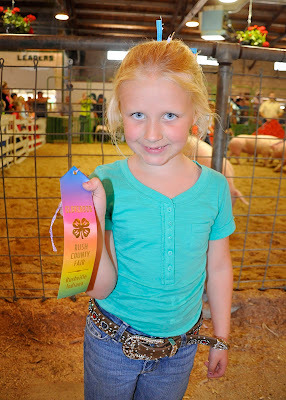 Each participant got a ribbon and a dollar. 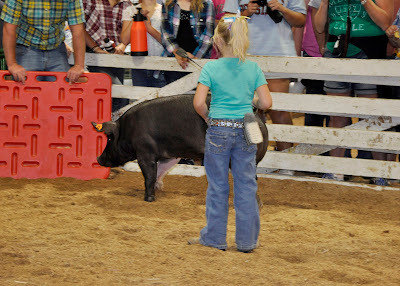 You would have thought she won a million dollars. 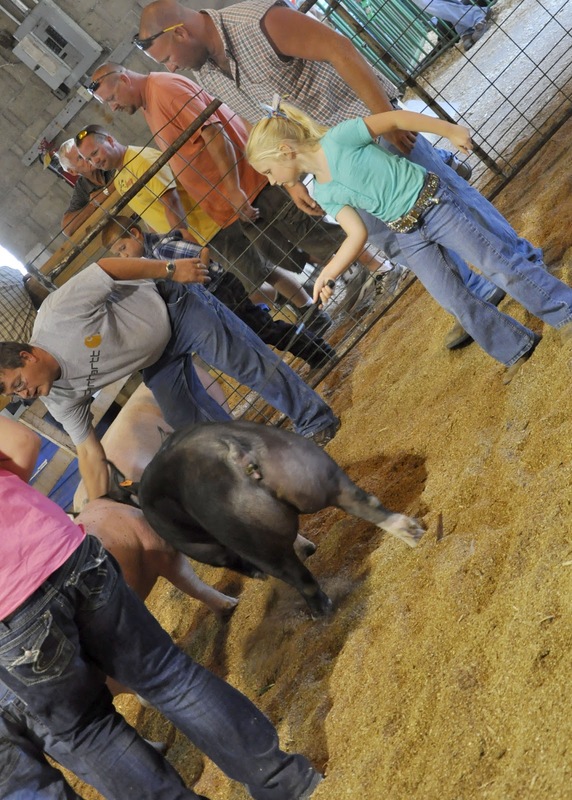 The judge picks an overall showman and they get a trophy. B kept forgetting to keep her whip down, but for someone who has never walked a pig before, I think she did a pretty good job. 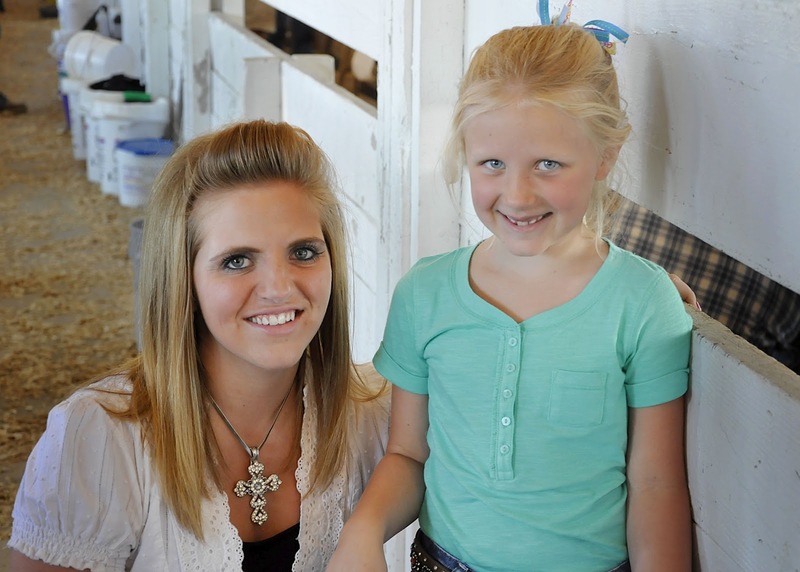 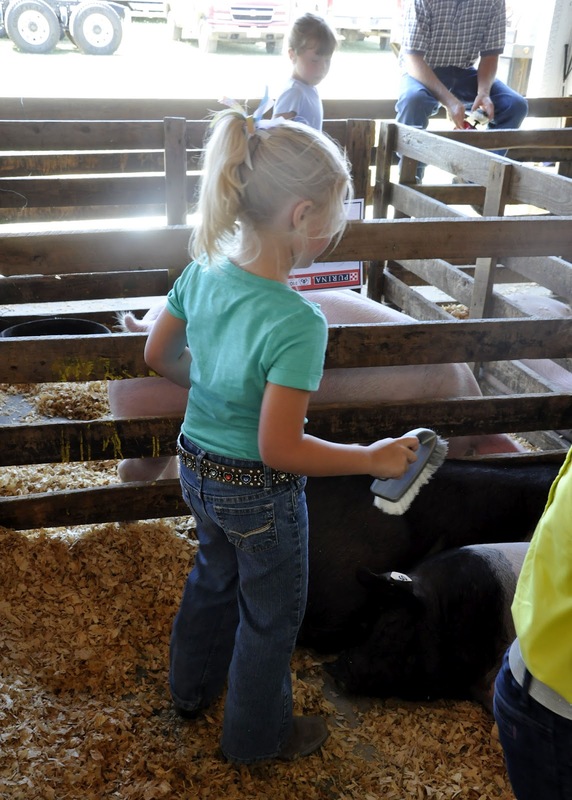 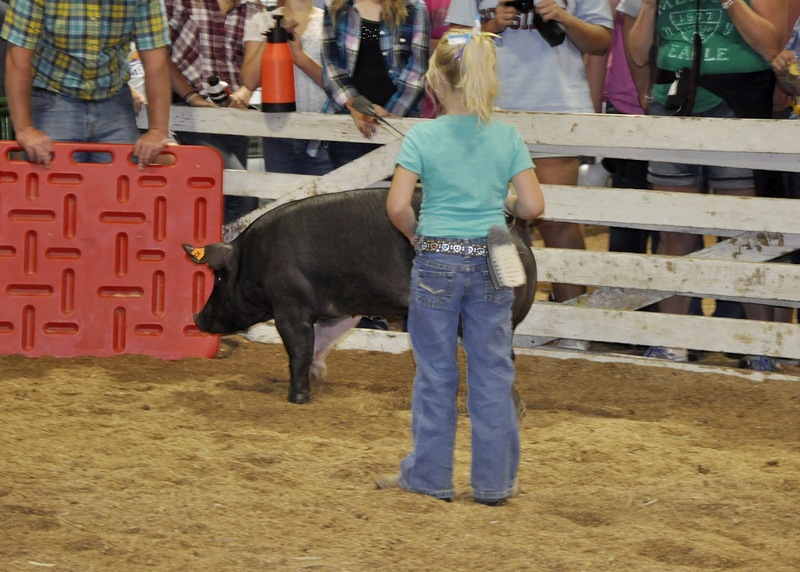 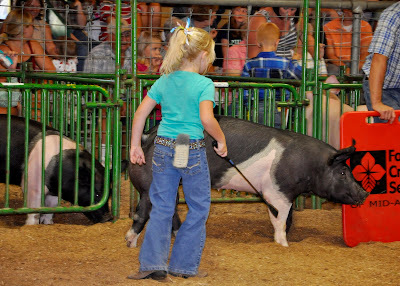 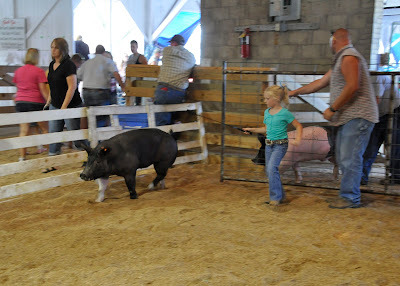 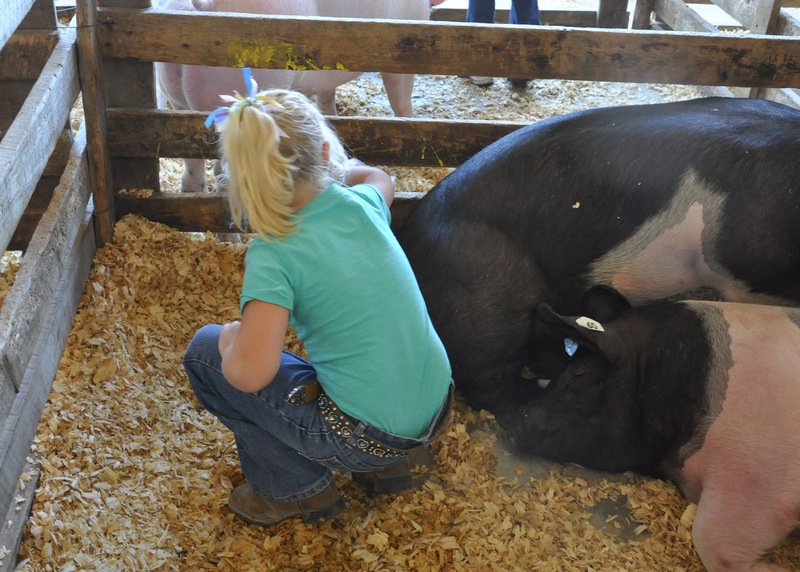 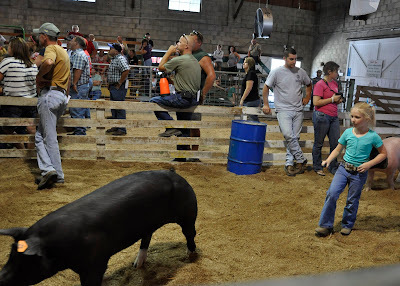 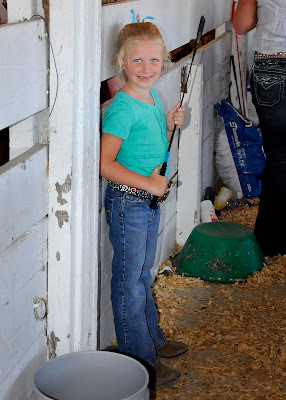 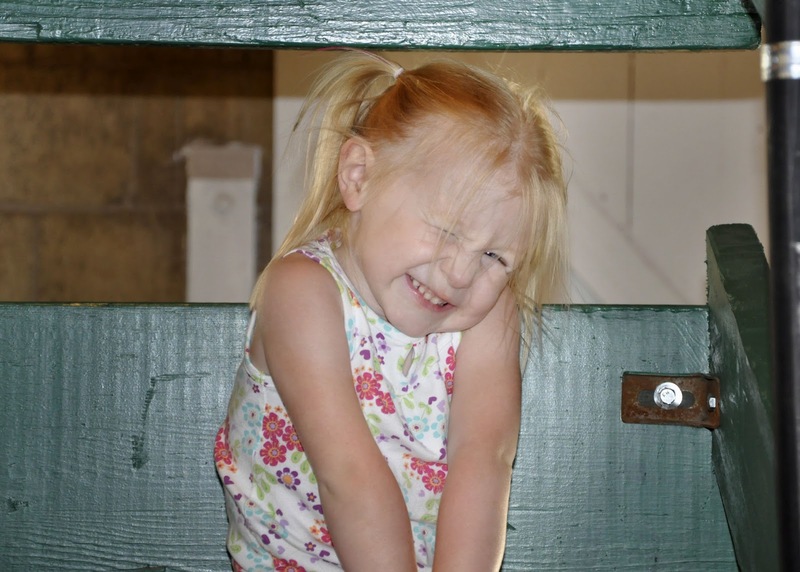 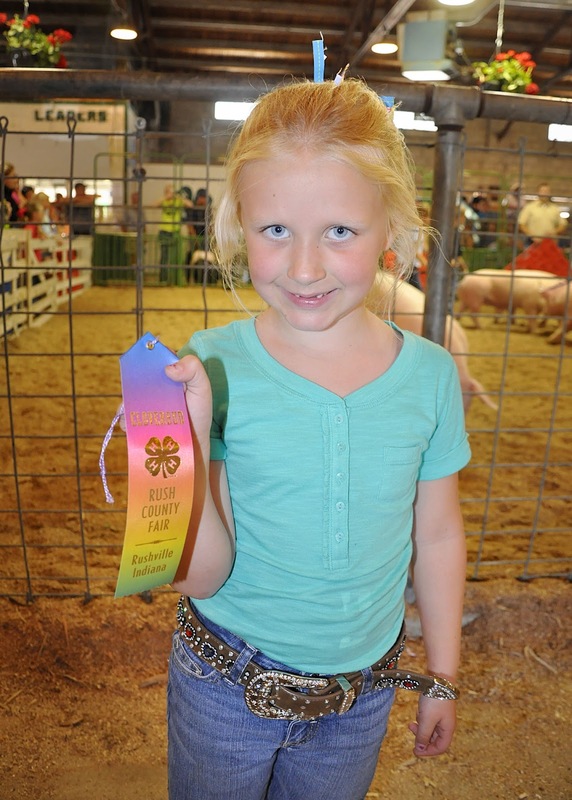 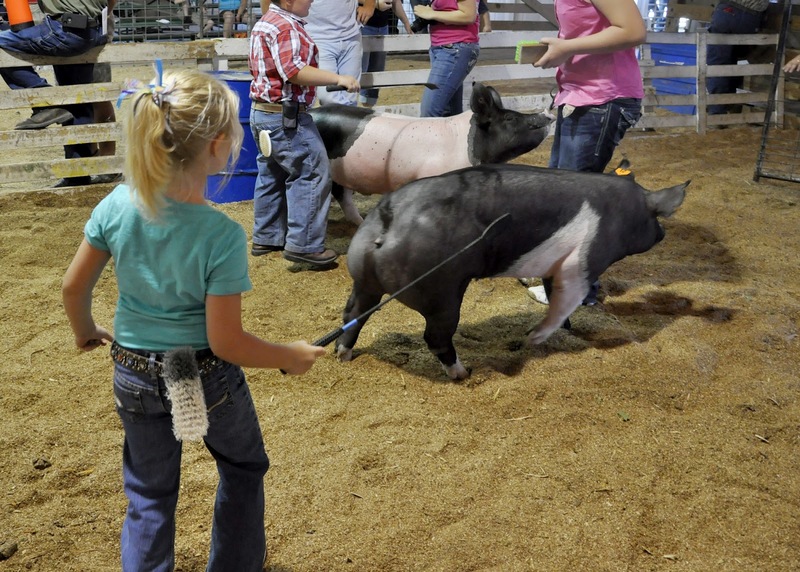 She wants to show a pig of her own next year, especially after she found out that you can teach them to do tricks! This is just about the cutest thing ever. 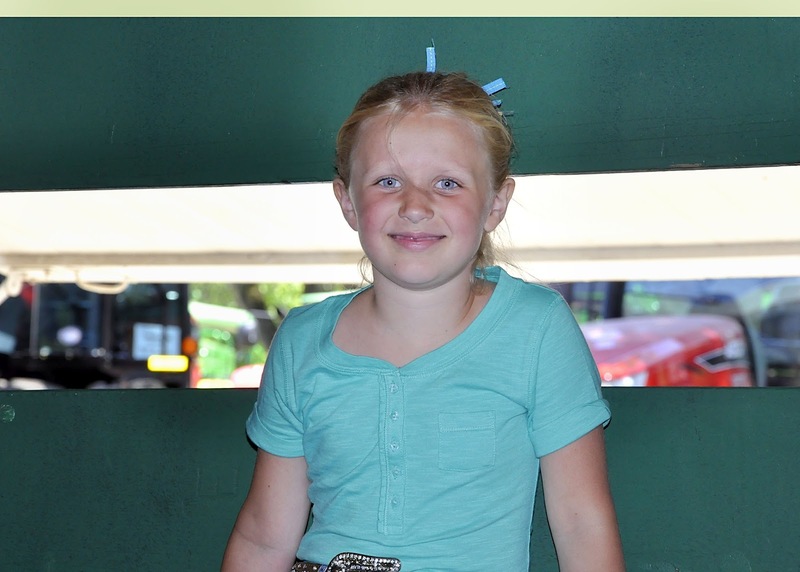 She looks so grown up and so proud of herself. 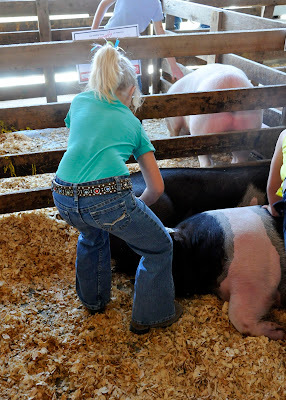 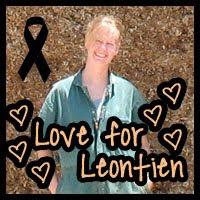 :) Can't wait to see her piggy tricks next year!